The thought of unwanted bugs sitting on our furniture alongside us leaves our skin crawling with uneasiness. Unfortunately, insects could be cozy next to you without you even knowing it. There are several species of insects that are so small you would not be able to detect them until they became bothersome. 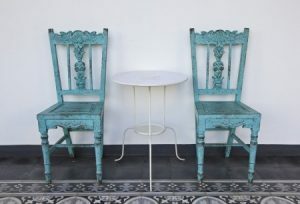 Wooden furniture, which is extremely popular, commonly becomes home to pesky insects. Wood often serves as “home” for thousands of insect species. Even when the wood is cut down and preserved for residential furniture use, there is never a 100% guarantee there won’t be pests found in the wood. 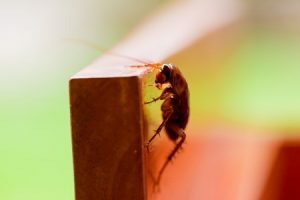 In Madison, Wisconsin state officials are actually warning consumers to be on the lookout for exotic inspect pests that are being found within imported rustic log furniture. This warning is not only for the homeowner’s safety but also for the safety of Wisconsin’s forests. In 2016, there were two incidents in the city of Madison where imported rustic furniture from China was infested with insects. The insects were identified as wood-boring beetles that are typically native to China. This type of beetle could pose a major danger to the forest, crops, and wood product industries if they escaped into the environment. The buyers noticed the various types of beetles in the furniture when sawdust was found around the furniture. These beetles could live up to two years within the furniture and go unnoticed. If you suspect an insect infestation in your furniture, be sure to contact a professional to handle it such as Amherst Exterminators. If you have a pond on your property, you might find yourself fending off insects and pests frequently. Ponds usually result in critters coming into your home and frequently popping up around your property. Although ponds often bring butterflies and songbirds, they can also result in snakes, mosquitoes, mammals, and other pests. Mosquitoes are a common when it comes to “pond pests.” They are irritating and extremely attracted to standing water. To avoid mosquitoes from swarming your pond, you can consider installing some sort of fountain which will keep the water moving and help keep mosquitoes at bay. Aphids are another frequent pond pest. These insects attached themselves to aquatic plants, affecting the ecology of your pond in a negative way. Do your best to soak your aquatic plants regularly in fresh water to get rid of these pests. If these pests fall into the water and you have fish in your pond, the fish will take care of them. If you live in an area that has mammals such as raccoons or foxes, you might find them wandering towards your pond, especially if you have fish within it. To prevent the mammals from entering or snatching your fish, you can put a mesh grille over the pond. Although it can become frustrating to take this on and off as needed, it is a sure way to protect the pond from mammals. These beetles are typically small, ranging in color from dark brown to black, and they feed on leaves frequently found around ponds. They will chew holes in the leaves and you’ll probably notice speckled areas on the plants. These beetles feed on aquatic plants as well which can result in dead foliage and infected plants. To get rid of them, spray them with a strong spray of water. These are just several pests that are commonly found around ponds. 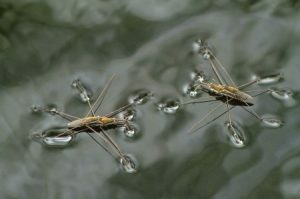 If you believe that your pond is resulting in a pest infestation around or in your home, contact Amherst Exterminators. 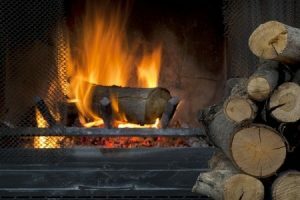 If you use the fireplace inside of your home during the bitter cold of winters of Western New York, it is important to understand how to prevent pests from gaining access into your home through it. When you transport outside firewood into your home, it is vital that you inspect each piece of firewood first for pests. Wood that was sitting outside for an extended period of time likely has insects within the log. You should check your firewood for any holes where insects might be hiding out. Before you bring the firewood into your home, hit it against pavement several times to shake any insects loose. If there are insects inside or on your firewood, they will leave the log when the log starts to get hot and disperse into your home. Eliminate them before they get inside. Most people only use their fireplace during the coldest winter months. Fireplaces are dormant most of the time which makes them an easy hiding place for rodents, pests, and insects. Before you start using your fireplace, you should get it professionally inspected by a chimney sweep. If the chimney sweep suspects pests, you should then bring in a professional pest control company to get it taken care of. Unfortunately, a chimney pretty much serves as a tunnel for rodents, birds, and bats. A chimney can be an easy passage way into a home with food and heat, attracting rodents. Rodents typically carry mites and ticks, and you don’t want them burrowing inside of your chimney. When you are not using your fireplace, you should be shutting the flue. Shutting the flue will prevent rodents and pests from getting into your home through your chimney. When you are burning a fire, you must keep the flue open for ventilation. Having a door installed onto the front of your fireplace is important, primarily, for safety reasons. Doors on fireplaces will help prevent children from getting too close to the fireplace. However, doors can also prevent pests from getting into your home through your fireplace. By sealing your fireplace shut with a door, you can help prevent pests from gaining entry. If you do find you that you have a pest issue of any kind, contact Amherst Exterminators to take care of it for you. As the holiday season approaches, many people purchase Christmas trees that they put up in their home. 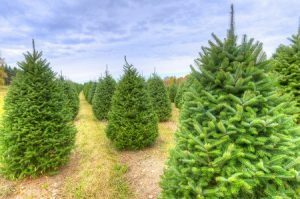 For many people, the smell of fresh pine is a must and they purchase a real tree from a Christmas tree farm outdoors. When people purchase a real tree to put into their living room, they rarely consider what might be living inside of their next Christmas tree. Real Christmas trees often contain insects, mites, and spiders. The warm temperatures of your home might cause these insects to become active. However, the large majority of pests that are hanging onto your Christmas tree are not a threat to your home or your family. For the most part, it is just bothersome to know that they are there. Some Christmas tree farms have mechanical tree shakers available which will shake the tree and remove loose needles along with any pests. If you have the option to take advantage of a mechanical tree shaker, we suggest doing so. Scan your Christmas tree before purchasing for any indication of insect eggs or insects. For the most part, they aren’t really visible but it’s worth sifting through it. Make sure you are also checking your Christmas tree for vacant bird nests. Although some people want to leave them inside as a decoration, they likely contain mites or lice. Spiders are a very common Christmas tree pest. Although you don’t want a room full of spiders, spiders do eat other insects and they will not harm you or your home. Most spiders them will remain on the tree and you may never even see them. If you do notice your Christmas tree has a trace of insects of insect eggs, make sure you remove them with non-chemical substances. Most chemical insect spray is flammable and it should not be sprayed on a Christmas tree because you are likely going to be placing lights onto the branches. Most insects are attracted to light. If any insects venture off of the tree and into your home, they will likely go towards windows, doors, or lamps. For the most part, you should not have many issues with Christmas tree pests. Most insects will enjoy the season from the comfort of their tree, rarely wandering elsewhere. If you do face issues with pests this winter, call Amherst Exterminators to take care of it for you. The Javits Center in New York City is an event center that hosts trade shows, conventions, and special events. It is an 840,000 square feet space, occupying six city blocks along the Hudson River. Several newly hired employees have four legs and whiskers, setting them miles apart from the rest. The Javits Center recently hired four feral cats: Sylvester, Alfreda, Mama Cat, and Ginger. The cats have been hired as rodent exterminators. They work within in the loading docks of the convention space between the 11th and 12th avenues. The loading docks at the facility had been experiencing frequent rat issues for two years. Rebecca Marshall, the center’s sustainability manager, decided to team up with the Feral Cat Initiative to help resolve the issue in a positive way. Through the “Trap-Neuter-Return program” feral cats are trapped, sterilized, neutered, vaccinated, and returned to where they were originally found. The cats are brought in for this special mission when it is unsafe for them to return to where they originally came from. Often, their previous homes are destroyed due to construction, fires, destruction, and so forth. It is vital to find relocation for these cats and the Javits Center is a great solution. The cats brought into the Javits Center live in a comfortable enclosure on the docks where they are fed and sheltered by staff. The majority of the cats are even adopted by employees and visitors. Staff members take turn purchasing food for the cats and making sure they are well fed and taken care of. In return for the food and shelter, the cats are responsible to exterminate unwanted rats that visit the loading docks. The scent of the cats alone has scared many of the rats off. The rats are not as frequent now that the cats are hard at work on the dock. 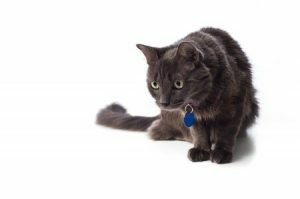 If you struggle with a rat infestation and don’t want to deal with the paperwork of hiring a feral cat, contact Amherst Exterminators to handle the extermination for you. Most home owners are concerned about bugs festering inside their home, it is a thought that many people cannot stand. Below are some suggestions on how to keep your home as bug free as possible. Make sure all of the windows in your home have screens that are not torn. If you are going to open a window, you need to make sure that a screen is preventing bugs from getting while allowing a cool breeze through. Without a screen in your window, bugs and small rodents could get inside of your home, including bees, ants, squirrels and birds. Windows should also be sealed round the edges and any cracks in the glass should be filled to prevent bugs from crawling through that way. It might be common knowledge but a clean home often means less bugs. Bugs are desperate for cluttered spaces and flock to homes that are not organized. They want to hide in dark corners, small crevices, and crowded spaces. Clutter allows them to feel protected and hidden. If your home has minimal clutter, bugs will have a hard time finding a hiding spot. We are all guilty of letting our garbage sit longer than we should. However, taking out our garbage regularly is a proven way to avoid bug infestations. Many people believe that if their garbage does not smell, it does not need to go outside. Bugs will smell dirty garbage before you so it isn’t good to go off of smell alone. Although you don’t need to change your garbage every day, you should be taking it out every few days. Make sure you occasionally clean your garbage as well. Although this is a dreadful job, it should be done on occasion. Scrub it down with cleaning solution to get off any messes. Bugs are not clean creatures and they enjoy sitting on pet waste. Make sure you are cleaning any dog waste up from the backyard regularly so bugs don’t flock to the waste and surround your home and yard. Cat litter should be cleaned every day because it sits inside. Bugs are drawn to pet food and water dishes sitting on the floor as well because they get dirty. You should clean your pets bowls often and store any extra food in a sealed container. Whenever you can, store your food, such as cereal or rice, in air tight containers. Make sure you put snacks into your cupboards and drawers. Wipe down any appliances that sit out on the counter such as toasters and coffee machines. Keep your counter clear of food whenever possible. If you put dishes in the sink to thoroughly wash at a later time, try and rinse any food or liquids from the dish first. Unfortunately, bugs are always going to find different ways into homes. All we can do is take precautions against them. If you do face a bug or pest problem, contact Amherst Exterminators to help you get it under control. How many times did your mother remind you to change your sheets regularly when you were in college? Probably so many times that you lost count. While you nodded along every time she brought the topic up, you may not have taken heed to her warning. As always, however, mom was right. According to a recent study, only 17 percent of people under the age of 30 wash their sheets weekly, as opposed to nearly half of people over the age of 45. What’s even more startling than these numbers is that a solid 10 percent of under-30s let seven or more weeks go by before washing their sheets! Since most cleaning professionals recommend you wash your sheets weekly – or at the very least bi-weekly – these numbers are rather startling. On top of attracting dust mites that inflame allergies and asthma attacks, dirty sheets are also an attractive hideout for bed bugs. Although your sheets alone won’t bring these bugs into your home, they can increase the likelihood of a prolonged infestation. Common signs of bed bugs include red, itchy bumps on the skin, as well as egg casings and shed bug skin in sheets. Now that we have your attention, it may be time to go change your sheets. And if you happen to notice any traces of bed bugs in your home, we recommend calling your local exterminator right away! 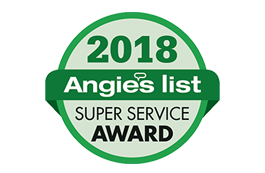 Here at Amherst Exterminators, our experienced staff has the knowledge required to rid your Western New York area home of any insect or rodent pest you are facing. To learn more and schedule an appointment, give us a call at 716-908-2475. Whether it is ants, termites or cockroaches, no one wants to see insect pests inside their home. But did you know that a couple of creatures typically considered “pests” can actually help to prevent insects from getting inside of your home? Sure, you wouldn’t want them to take up residence in your space, but both bats and spiders can be incredibly helpful in your battle to keep your space insect-free. 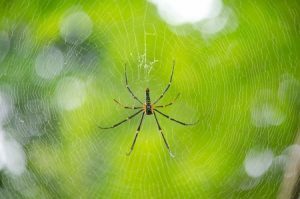 The diet of most bats and spiders consists almost entirely of insects, which means that keeping them around can greatly reduce the numbers of insects in your yard (and potentially your home). According to BatCon.org, bats save US farmers more than 3.7 billion dollars a year. Thanks to these winged creatures, fewer pesticides are needed and fewer crops are destroyed by insect pests! Similarly, spiders can keep common pests like mosquitoes and roaches at bay. They eat a majority of the insects that carry diseases, helping to reduce potential illnesses and allergic reactions that are related to pests in homes. So how can you help these creatures do their best to keep all other pests out of your space? Bat boxes are growing in popularity, offering bats a comfortable place to sleep in our yards and making them more likely to dine on the insects in your area. There are also certain habitats that spiders prefer to reside within, which you can create near your garden to keep insect pests from eating up the fruits (and vegetables) of your labor. According to Mother Nature Network, mulching your garden creates a more comfortable home for spiders, as does adding potted flowers near your garden. For more information on all things pest control, please call Amherst Exterminators at 716-908-2475. Do You Have a Termite Problem in Your Home? Have you noticed tiny piles of sawdust around your home, or heard strange munching noises in the walls? You probably aren’t expecting this answer, but there is a possibility you have termites traversing the walls of your home. If you suspect you have a termite problem, it’s best to look for signs or clues that confirm your suspicions before further damage is caused. Where there is wood, there is a chance of termites. But fortunately, if you do find evidence of a termite infestation in your home, there’s Amherst Exterminators to call for relief. Not quite sure its termites in your home? Here are a few simple tricks to help you know for sure. Look for piles of wings most likely in your basement during spring when a reproductive swarm happens. Look for hollowed-out wood. This indicates that termites have eaten through wooden parts of your home. Tap on the wood where you suspect termites have been, and listen for a hollowed-out sound. Look for mud tunnels or tubes that are as wide as a pencil. These are found along the walls inside and outside of your home near the foundation, in which the termites build with their own six short and stubby legs. Depending on the type of termite that has entered your home, additional signs include buckling paint, tiny holes in wood, and swollen floors and ceilings. 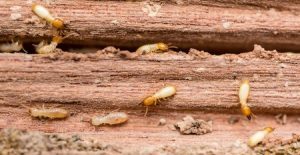 Finding one termite doesn’t necessarily mean you have an infestation, but it should raise a red flag. While you inspect your house for termites, be on the lookout for the aforementioned signs to determine whether you have a pest problem or not. If you suspect you do have an infestation and want to confirm your findings with a professional, please call Amherst Exterminators at 716-908-2475. We’ll be able to put your mind at ease and ensure your home is termite-free. As pests have been a problem in homes for hundreds of years, many myths have developed surrounding their extermination. 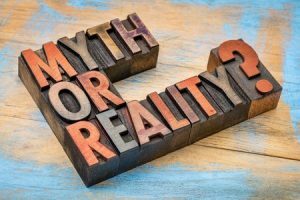 The myths we mention below are ones that families often try out before calling for professional assistance, which typically just gives the problem extra time to grow. Just because it works in the cartoons, doesn’t mean you should try it in real life! Instead of hunting for cheese, most mice prefer sweeter snacks, like peanut butter or dried fruit. And, of course, if you have a mouse infestation, one trap with some bait in it isn’t likely to solve the whole problem. You also need to figure out how the rodents are getting into your home and where exactly they are residing! Although your dog or cat is probably enough protection to keep one rodent from making its way into your home, they cannot keep a real infestation at bay. Rodents will actually be attracted to the scent of your pet’s food, and the easy access to a snack that it provides. And since rodents can travel inside of areas (like the walls) that your pets cannot, they will have an easy enough time avoiding your first line of defense. Regardless of how clean you keep your home, there are some insect pests that will still make their way inside. Carpenter ants and termites are two pest problems that have absolutely nothing to do with cleanliness, so if you notice sawdust or strange noises coming from inside your walls, it is best to give the professionals a call. A popular old wives tale used to get rid of ants on your property, boiling water does work to kill ants directly at the surface, but it is unlikely to reach the root of your problem – the colony (and its queen). Even when poured in the correct location, boiling water will cool before it reaches the majority of the ants, minimizing your problem very temporarily instead of eradicating it completely. As with any problem you have, the longer you let it go, the worse it becomes. If you are facing any type of pest infestation, we at Amherst Exterminators urge you to give us a call. 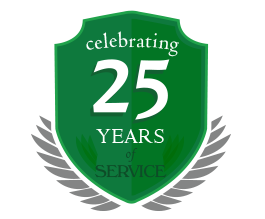 With years of experience in pest removal, we will work with you to find the fastest possible solution to your insect or rodent problem. To schedule an appointment, please contact us at 716-908-2475.